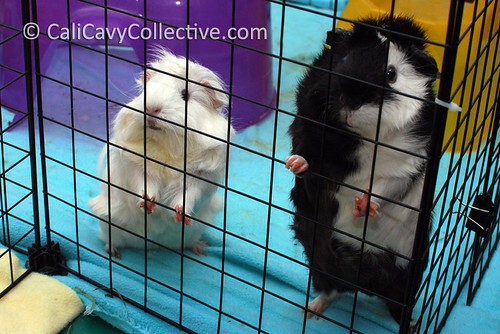 Like countless other guinea pigs, Abby-Roo and Revy have perfected the woeful take-pity-and-feed-me-now-before-I-expire-of-starvation face. They employ this heart wrenching expression indiscriminately regardless of the amount of leftovers they have scattered about the cage. 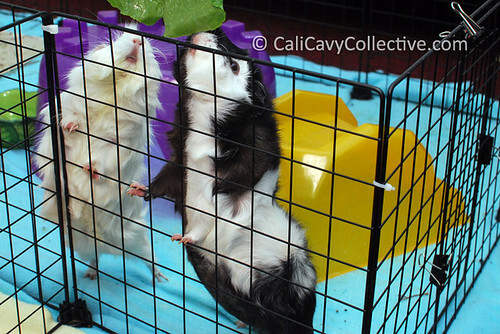 Their routine usually begins with Abby-Roo wheeking and climbing the grids. Occasionally she is joined by Revy, depending on how lazy she is feeling at the moment. 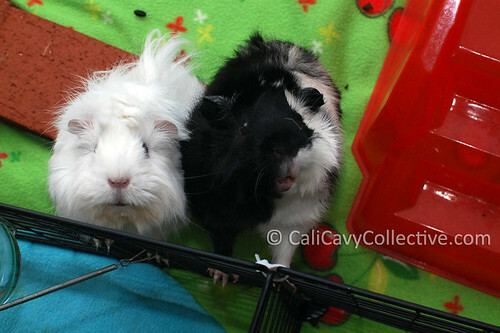 Sometimes Revy is content to loiter near her pigloo and let Abby-Roo do all the work. 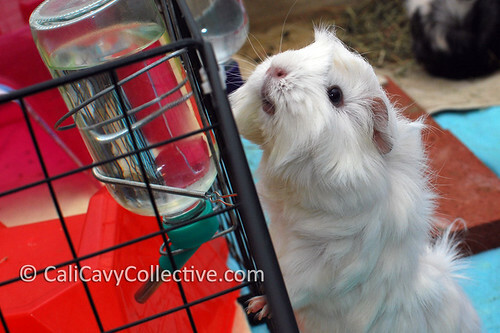 When motivated, both cavies will stand on their hind legs or pace back and forth in anticipation. If dinner does not appear quickly enough, Abby-Roo continues her high pitched bird calls. Patient they are not. But they certainly know how to get their way. The last picture is my favorite. Begging fiends! Excellent work, Abby and Revy! Look at the chubby little Revy tummy in the last photo!